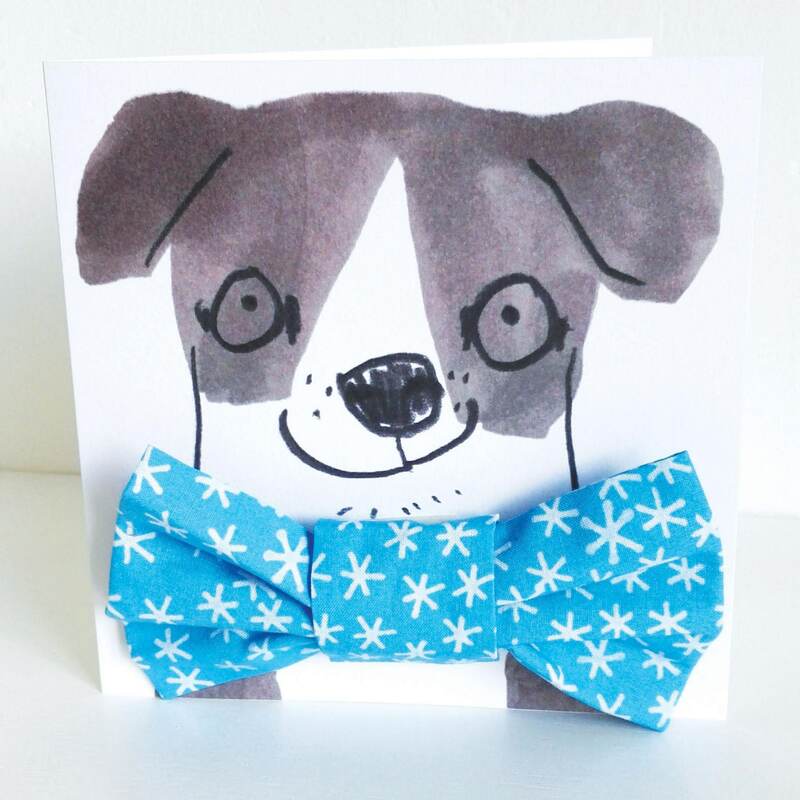 Treat your pooch to this cute little pup card wearing a beautiful handmade blue snowflake bowtie! 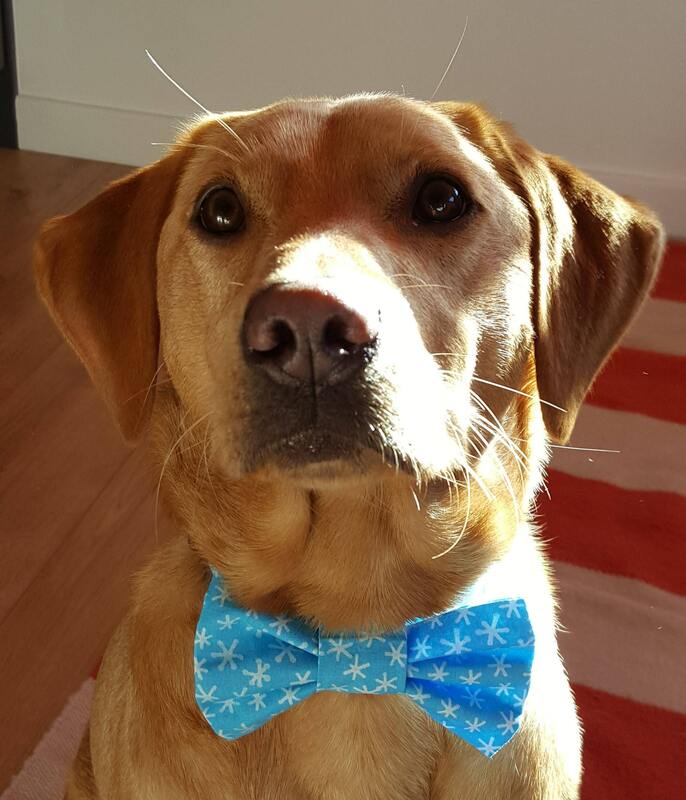 The snowflake bowtie is a little gift for your dog to wear on their collar, the perfect dapper accessory for those occasions where you might need that extra bit of hipster style, especially at Christmas parties! The card is printed onto 300gsm board and measures 145mm x 145mm and comes with a coloured envelope. The bowtie is made from organic cotton designed by Jo Clark, handmade by Buster & Lou Pet accessories. The bowtie slides onto a standard dog collar up to a width of 1 inch.